Hairline Cracks: These begin to appear when leather seats become dry due to lack of treatment. If left unchecked, these become “weak spots” where the leather will eventually tear. 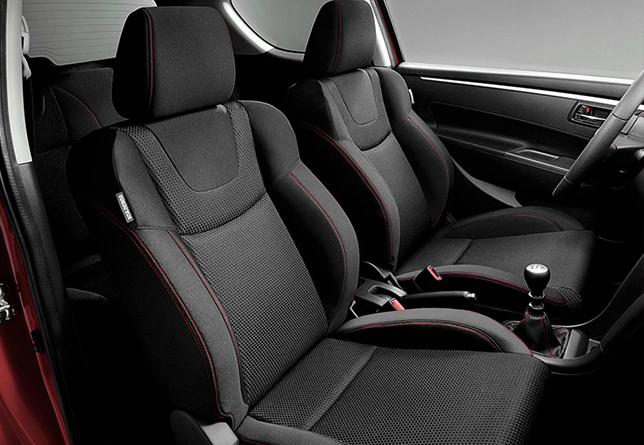 Scuff Marks: The side bolsters and inserts of any leather seat are the area’s most worn by daily use. In time “scuff marks” will appear. At this point it would be wise to have a qualified Auto Trimmer to advise on how best to deal with the problem. Hardening of the Leather: The sun’s rays are leather upholstery’s worst enemy. Leather exposed to the harsh rays of the sun will begin to harden and start to fade. As the leather hardens it shrinks, this increases pressure on the stitching causing it to split. 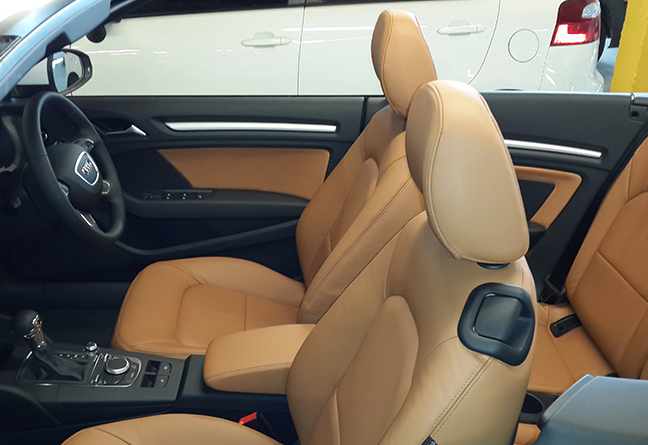 To prolong the life of leather upholstery, it is important to make sure that the cover is kept clean and remains “flexible”. Using a soft cloth to apply a leather cream once every six weeks will ensure that the cover will not become hard and inflexible. 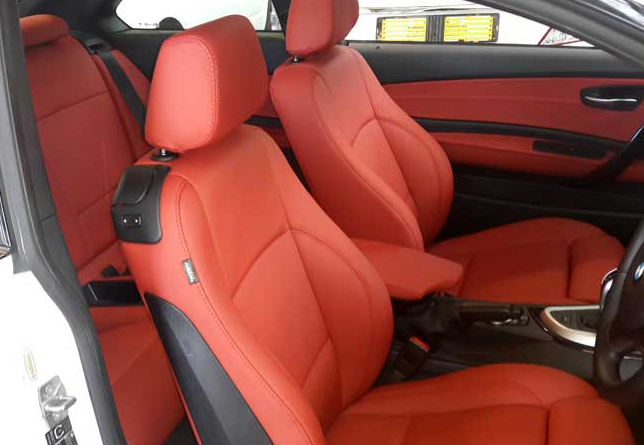 When cleaning the seats, never use thinners, scouring or ammoniac products. Stubborn marks should be removed using any Benzine product. Given that the treatment mentioned above is applied, normal exposure to the sun should not damage the leather in any way. However, even with treatment, unreasonable exposure will cause hardening and result in damage. Finally personal observation is important. Always be on the lookout for early signs of damage. Should these appear, it would be best to get advice from a qualified Auto Trimmer on how best to deal with the problem. Keeping these types of covers clean is the best protection against premature wear and tear. Dust and grit act as an abrasive that damages the stitching and the fabric. Exposure to the sun will cause the colours to fade. Regular cleaning and inspection for early signs of damage is important. Never has the idiom “a stitch in time saves nine” has been more applicable than with cloth and vinyl seat covers. Having an Auto Trimmer inspect, and if necessary repair the problems, saves money and prolongs the life of the seat covers. As with leather, the rays of the sun are a soft top’s worst enemy. In time the colours will fade and the fabric will tighten over the frame. It is therefore important to inspect the top from time to time to make sure that the stitching remains secure. 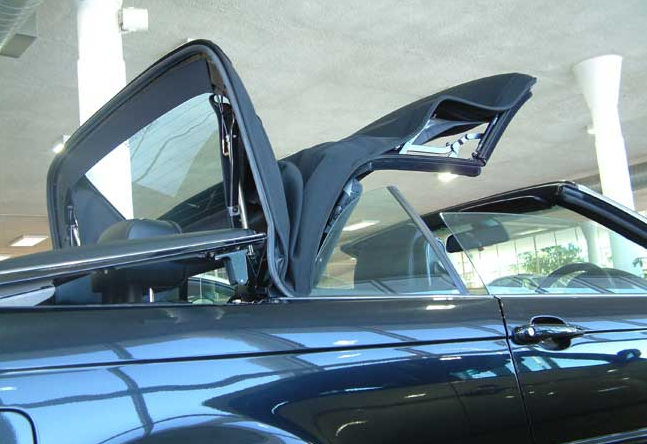 It also helps to lower the roof periodically and need be adjust it to release some of the pressure on the stitching. To clean, use a chamois and avoid abrasive cleaning agents. Another section requiring special care is a “flexi-glass” window. This should be kept clean using a soft cloth and every effort should be made to keep scratch marks to a minimum. A build up of scratch marks leads to “cloudiness” and reduced visibility. Should any weakness become evident, it is advisable to have a qualified auto trimmer inspect for damage sooner rather than later.